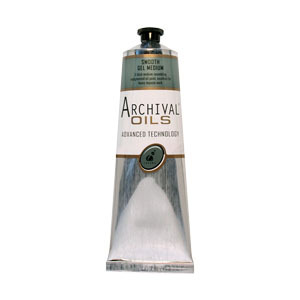 Archival Smooth Gel Medium helps retain brush marks and improves brush-ability of oil paint. It is formulated for artists who are sensitive to the odours of traditional oil mediums and solvents. Mix Archival Smooth Gel Medium 50/50 with oil paint to achieve a faster drying time.